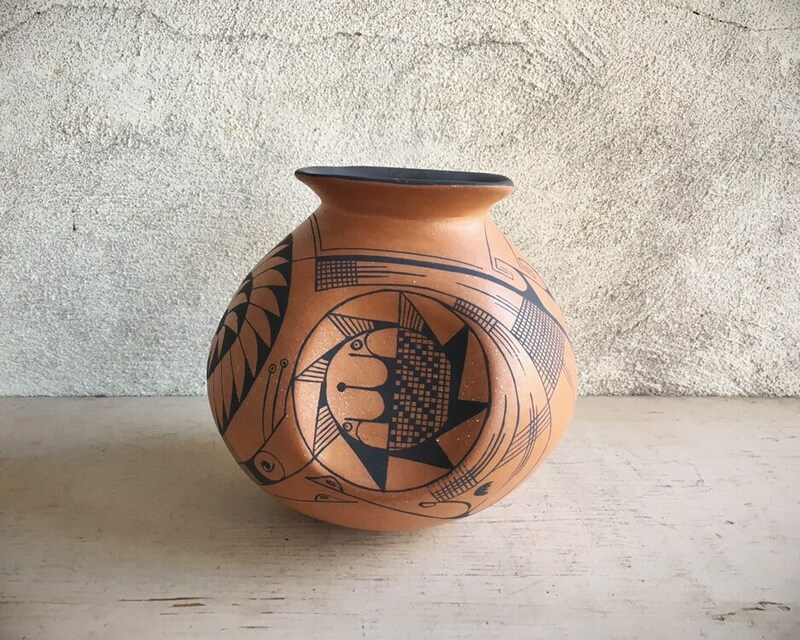 This vintage pot or olla came from our family's private collection, circa 1980s. 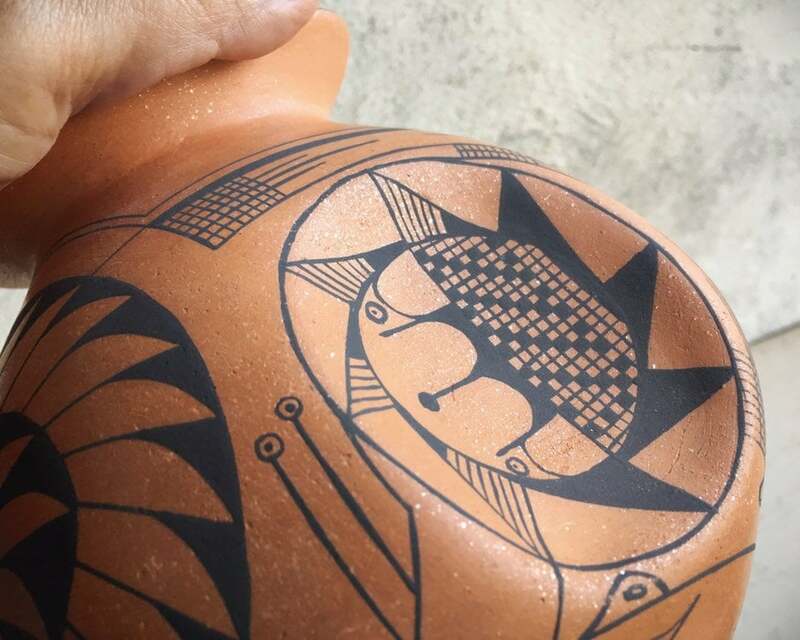 It stands out for the uncommon design, for which potter Hector Trillo is known. Trillo is from Mata Ortiz, Mexico (also known as Casas Grandes). 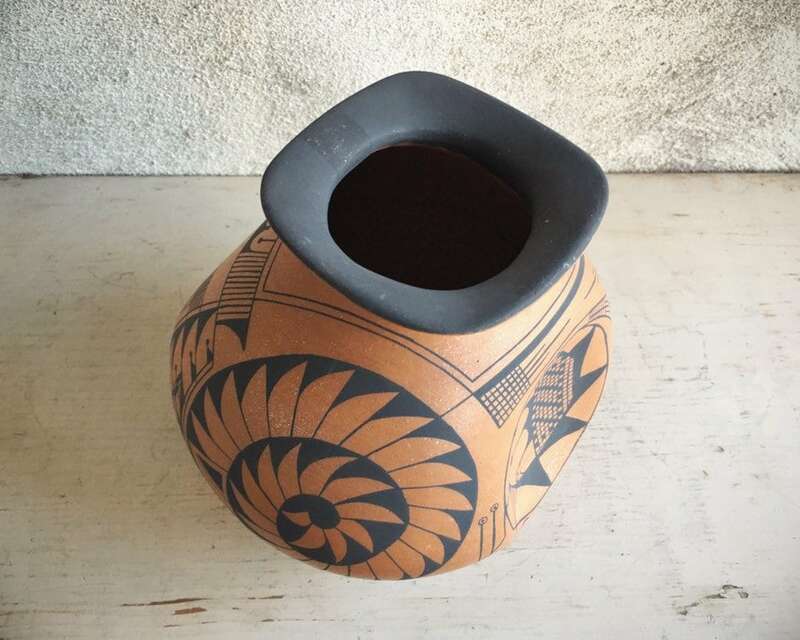 Mata Ortiz pottery is handmade beginning with a coil of clay from the local soil. 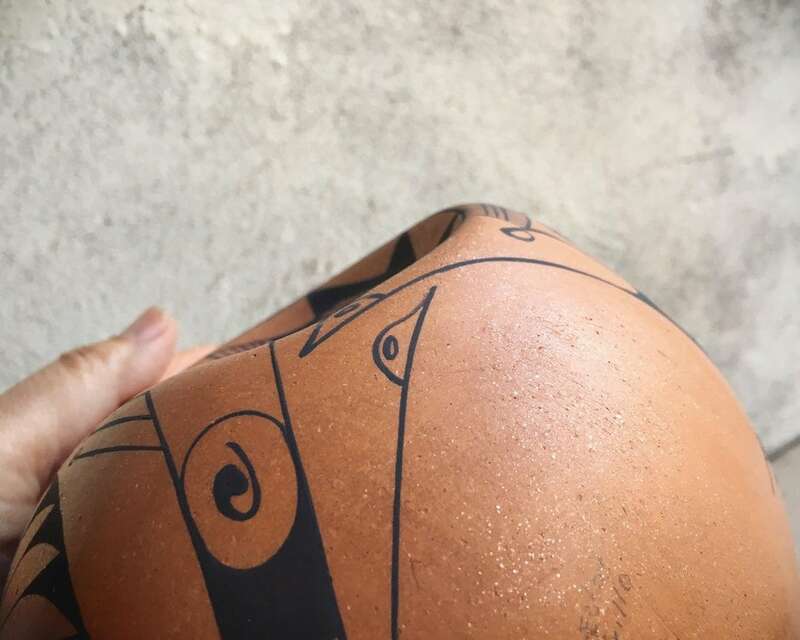 It is painted, using a brush made of human hair, with colored pigments from the local area. Then the pot is fired directly on the ground using wood and dung as fuel. 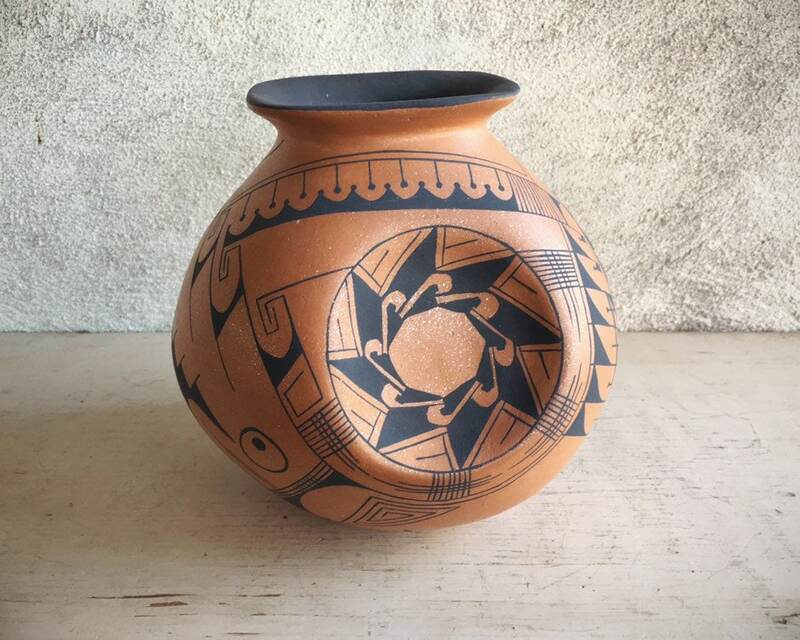 Most of the pieces of Mata Ortiz pottery that I've collected are burnished. This one is not, and it is made from micaceous clay, the ground flecks of mica creating a magical almost sparkly finish in the natural rust color of the surface. 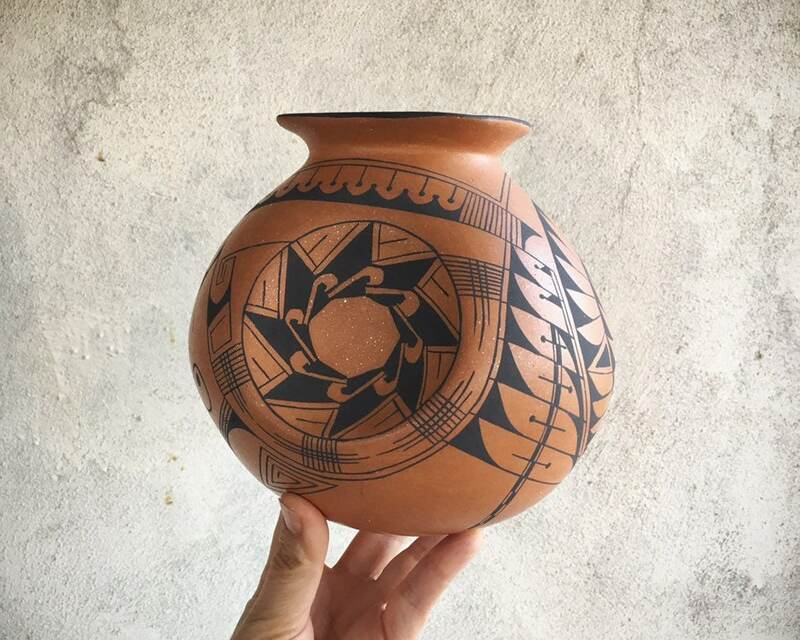 On two sides the pot has been pushed inward to create circles and inside each circle is a whirling sun shape, each painted in black with a different design. 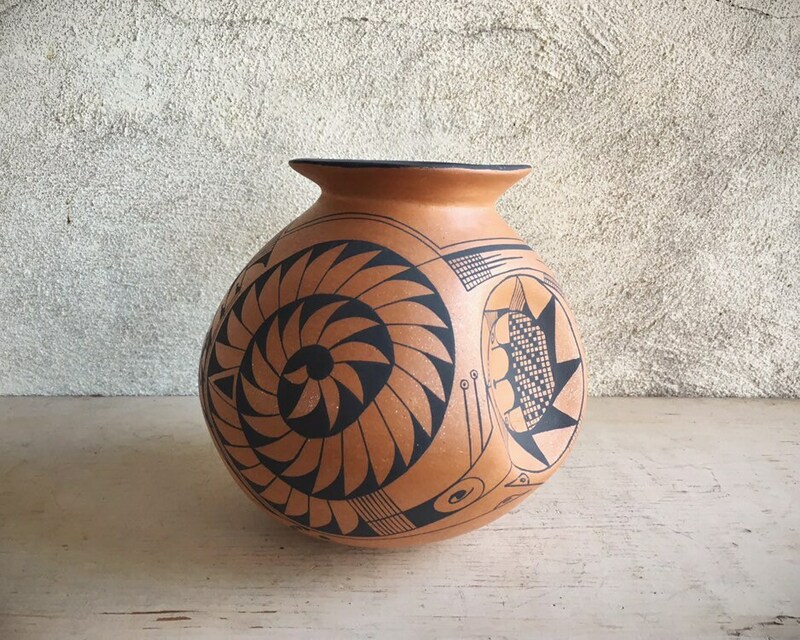 All of the geometric designs in the pot overall are detailed and draw you in, just as the two concave circles draw you in. I can't help but think that the artist intended this and made them bowed inward for that reason. This decorative piece is one of a kind and meant for display purposes only. It will not hold water. 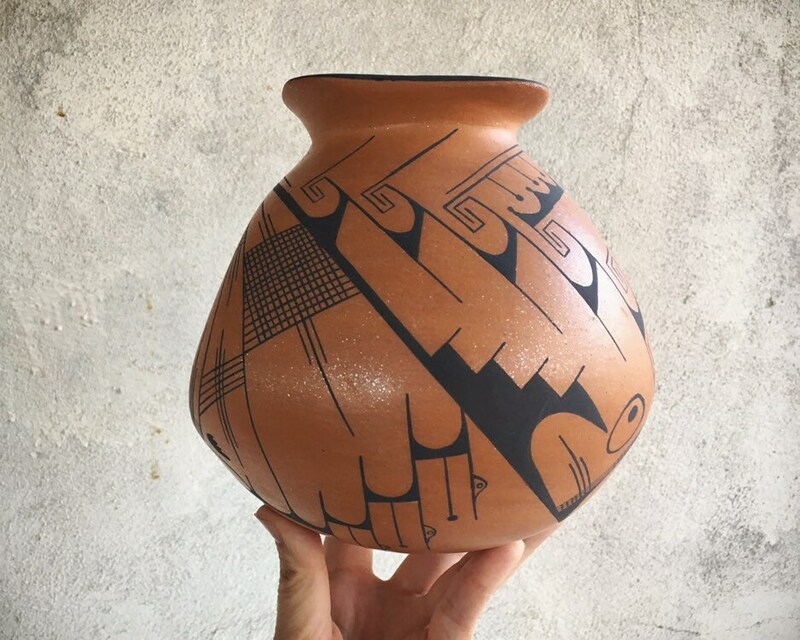 This pot is medium-small, measuring about 7" tall by about 7" across on one side and 6-1/2" across on the other side. The flared and squarish lip or opening is about 3-3/4" by 3-3/4". In good shape with cracks nor chips. Signed on the bottom in pencil by the artist. A powerful piece of Mexico.